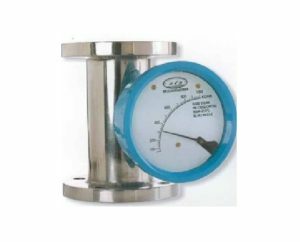 Accurate Flowmeters make Metal Tube Rota meter is a variable area flow meter Model. AF series is suitable for gas and liquid flow measurement even under high pressure and high temperature. Standard flow tube is in SS 316 and for corrosive applications the metal tube, orifice and float can be lined with PTFE. AF series Metal Tube Rotameter comes with optional limit switches and 4- 20ma output.